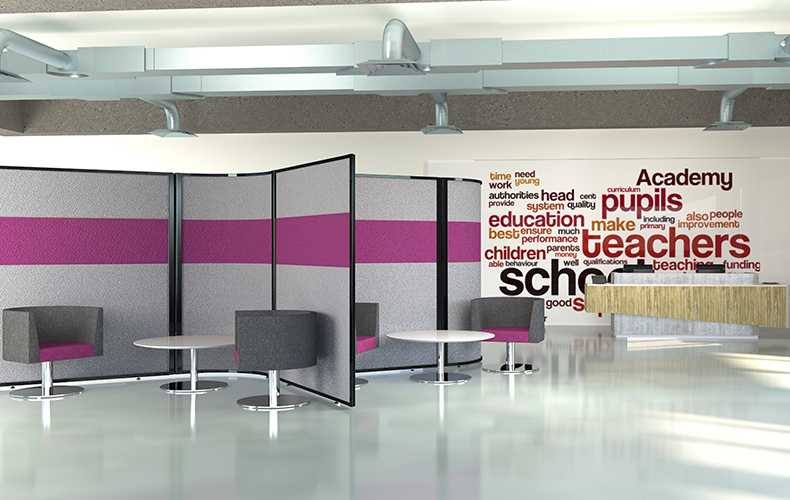 Concept acoustic partition screens are ideal for creating a professional design and integrating privacy into open environments. Permanent divisions are often expensive, time-consuming and can lead to other issues. This is why partition screens are a popular solution for creating privacy and preventing distractions in open environments. The Concept office screens are designed to help employees and students to focus and concentrate on the task at hand. As the Concept partition screens are manufactured here at Rap Industries, this allows us to open the customisation options up to our clients. From the fabric colours right the way through to the size of the panels, there are a number of ways in which the partitions can be customised in order to adapt to your open plan environment. Each screen is manufactured using high quality materials in order to guarantee an extremely sturdy screen which also features a design that will enhance the surrounding environment. Throughout this manufacturing process, we conduct extensive checks on every partition to ensure they meet the design requirements. To support this, we include a five-year manufacturer's guarantee with all of the free-standing office screens that we produce. The Concept acoustic screens are manufactured with a sturdy internal core which is designed to create screens which are lightweight and also stable when in use. We then add two thick layers of acoustic foam to either side of the panel and these are designed to soak up some of the ambient office noise. Finally, the fabric is applied and you can customise two or three of the sections with the fabric colour of your choice. We design and then manufacture the Concept acoustic screens at our site in Peterborough, Cambridgeshire. From here, each product is made to order in order to guarantee they are suited to the environment of the client. 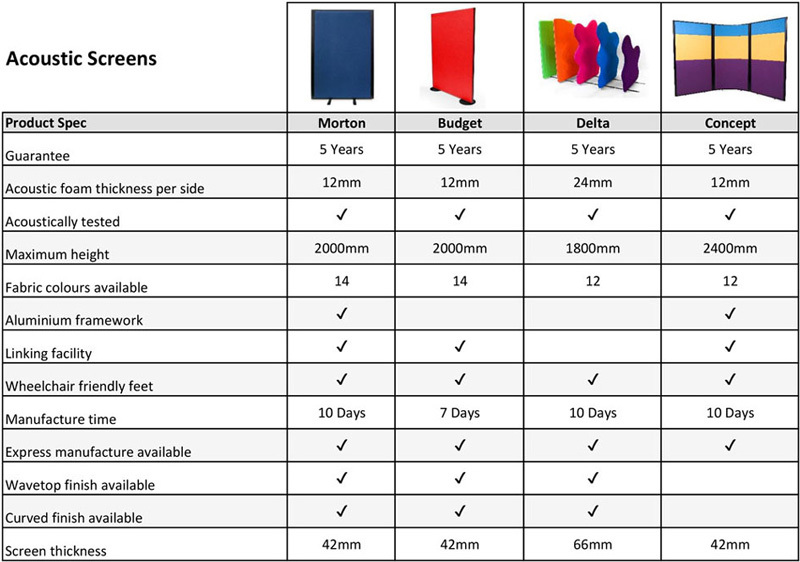 This means that each panel can be customised with a different height, width, fabric colour and framework colour available. By clicking onto the individual item pages, you can find further information on the Concept acoustic office screens and how they are made. We have provided a variety of guides which can take you through the options available and the delivery process. If you are unsure which screens would be right for you, then please get in touch with our team of advisors by calling 01733 394941 or send an e-mail to [email protected].